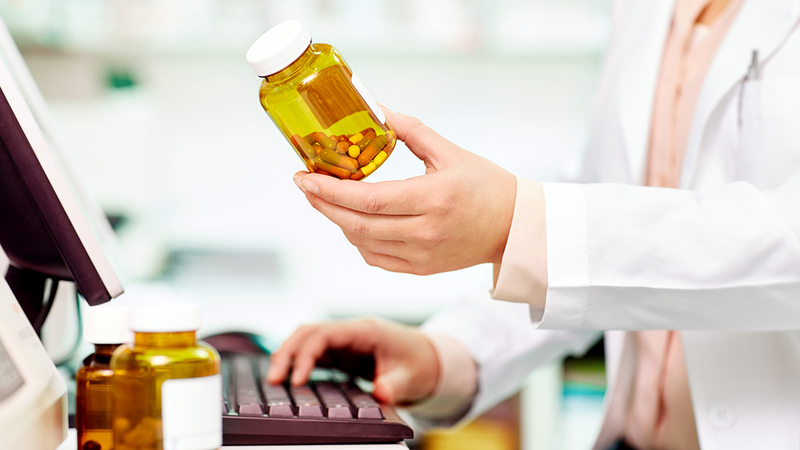 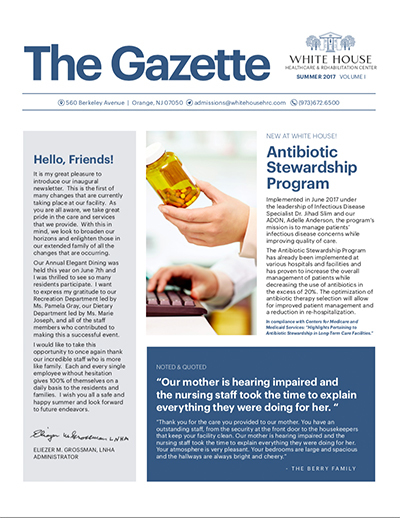 We keep a close eye on antibiotic usage to minimize rehospitalization and improve the quality of life for individuals suffering from acute and chronic infections. 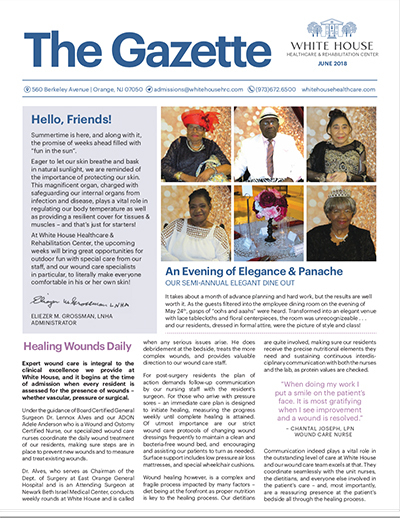 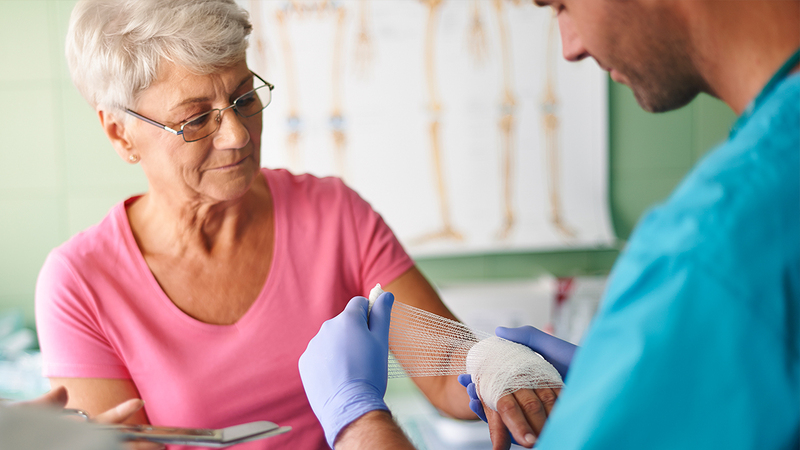 Our wound care program has gained renown in the medical community for its success in treating wounds. 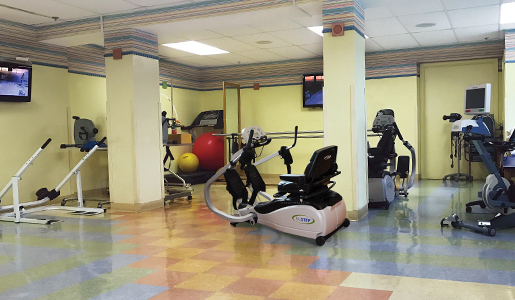 White House Healthcare & Rehabilitation Center is a foremost nursing home rated 5 stars by CMS. 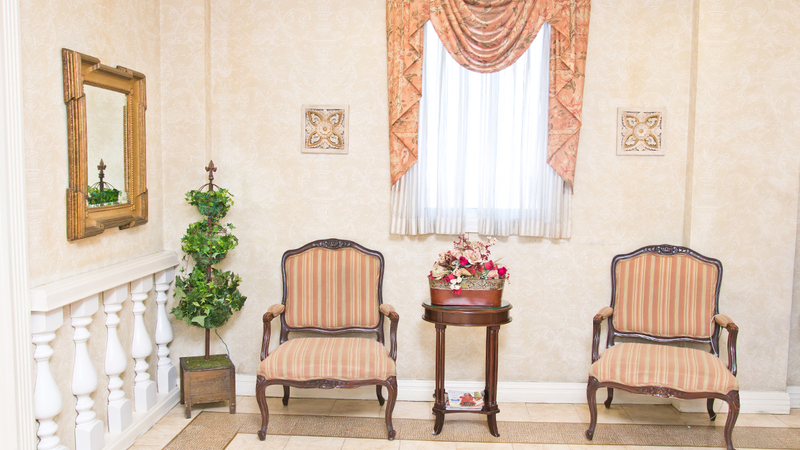 Located in the City of Orange in the heart of Essex County and with a longstanding reputation for excellent care and outstanding resident satisfaction, we take pride in our high rate of residents returning home. 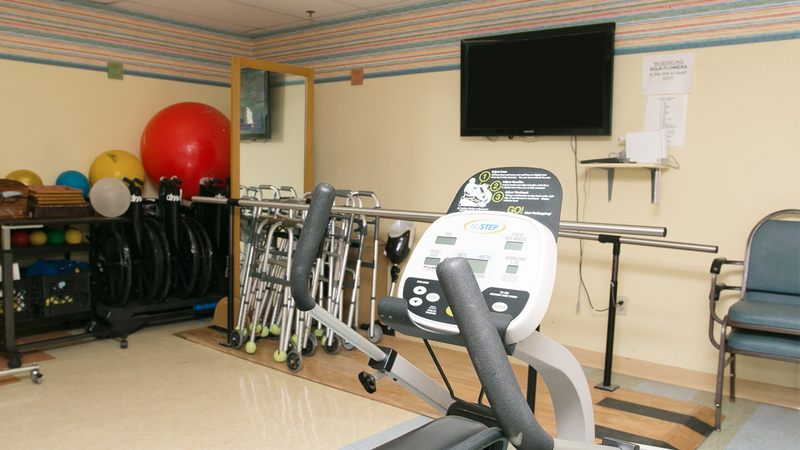 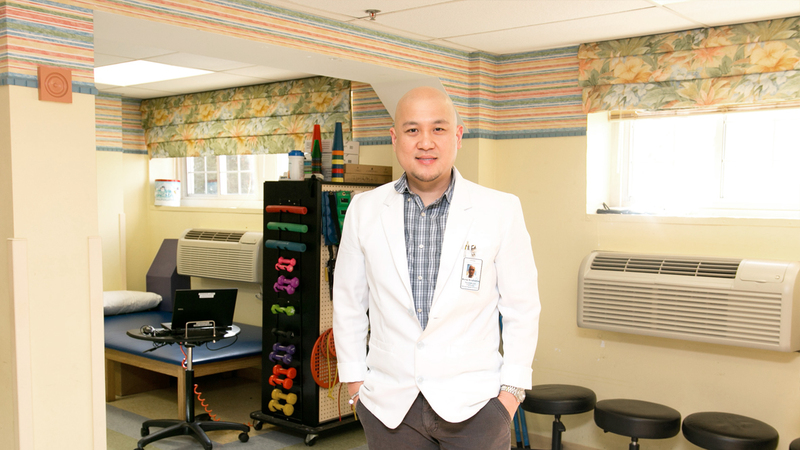 Offering the best in subacute rehab and long-term care, our clinical specialties encompass complex wound care, orthopedic rehab, respiratory care and cardiac rehab. 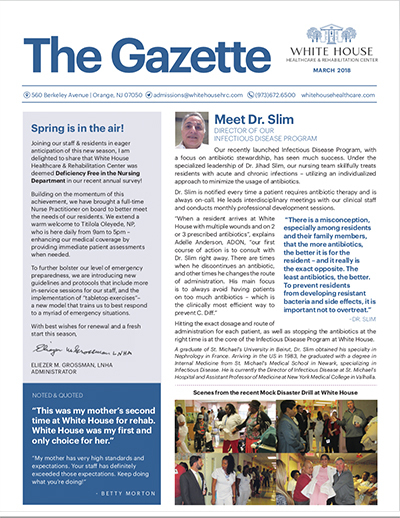 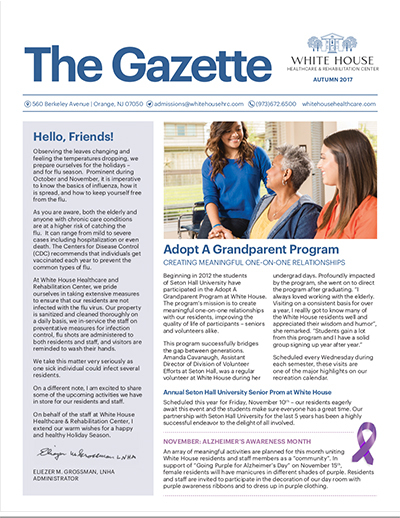 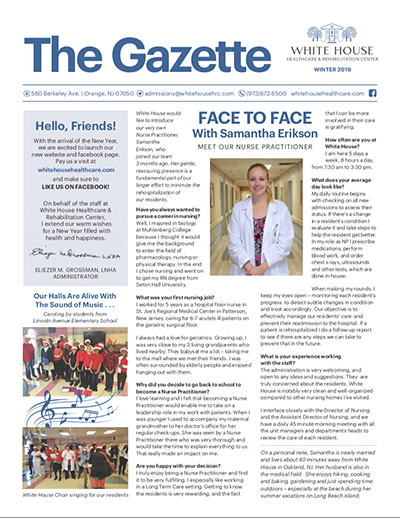 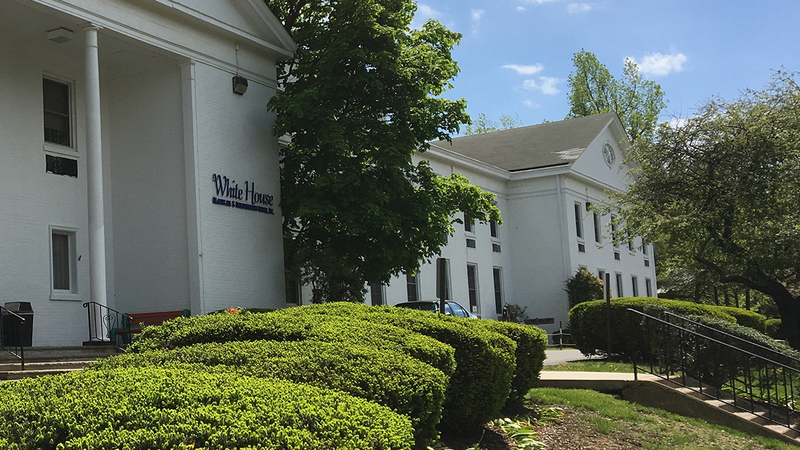 Proud to be part of the Preferred Provider Network of Robert Wood Johnson Saint Barnabas Health System, White House delivers well-coordinated personalized care in conjunction with leading medical professionals in the area.